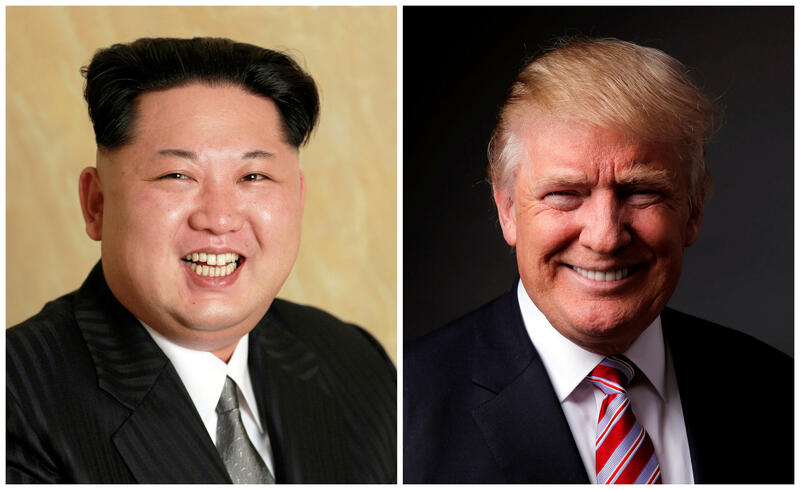 President Trump's approval rating on his handling of North Korea has gotten a boost amid a potential meeting between Mr. Trump and North Korean Leader Kim Jong Un. And the number of Americans who feel uneasy about a potential conflict with North Korea continues to drop. North Korea calls U.S. claims about upcoming summit "misleading"
Fifty-one percent of Americans now approve of how the president is handling the situation with North Korea, up nine points from March, and his highest rating on this issue since taking office. Thirty-nine percent disapprove. This increase in approval comes from Americans of all political stripes: Republicans, Democrats and independents. Still, partisan divisions remain overall: Most Republicans (90 percent) approve of how the president is handling the North Korea situation, while most Democrats (64 percent) disapprove. Uneasiness about the possibility of conflict with North Korea continues to decline. Fifty-five percent now feel uneasy about that possibility, down from 64 percent in March and from 72 percent last year. Here too, fewer Americans across the political spectrum feel uneasy now than they did in March. This is particularly the case among Republicans. Six in 10 Republicans are now confident the North Korea situation will resolve without conflict, compared to 45 percent who felt that way a couple of months ago. Most Democrats and independents still feel uneasy. Those who disapprove of the president's handling of North Korea are more likely to be uneasy about the possibility of conflict. Overall, Americans are twice as likely to think a meeting between President Trump and Kim Jong Un will make things between the two countries better than worse. Most Republicans (66 percent) think it will make things better, while 1 in 5 Democrats agree.